TheMishMash.com: Here I Come to Save the Day, er...I mean, Your Soul! 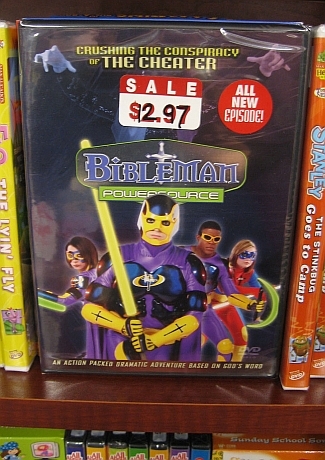 Nope,,, That's Buddy from "Charles In Charge"
We had a Bibleman CD for sale at the thrift shop that I work at. This lady came in saw it and asked if we had anymore.